The Palestinian Museum has announced its rich and diverse programme for 2017 and 2018. The programme includes five major exhibitions, as well as the launch of its online platform, and the start of its digital archive, and numerous educational programmes, research projects and conferences. Dr. Mahmoud Hawari, the Museum’s Director, explained that the Museum’s programme has been developed around a number of key principles, including the critical exploration of important milestones in Palestinian history, culture and society. The inaugural exhibition in the Museum will open in September 2017 until Mid-December. It will be curated by Reem Fadda, who was the Artistic Director of the 2016 Marrakech Biennial and previously held the post of Associate Curator, Middle Eastern Art for the Guggenheim Abu Dhabi Project from 2010. The exhibition will present a critical reading of the representations of Jerusalem as a global city especially in the past fifty years since its occupation in 1967. The exhibition will be multidisciplinary and extensive, presenting multiple commissions and programmes with artists, institutions and collectives within the museum and satellite locations, particularly in Jerusalem. In parallel, the second exhibition will be launched in November 2017 on the centennial of the Balfour Declaration and aims to shed light on the various aspects of the Palestinians’ popular resistance against this landmark declaration and its impact on their life and destiny. In January 2018, the Museum will then host a new version of its first satellite exhibition At the Seams: A Political History of Palestinian Embroidery, which opened in Beirut in May 2016 at Dar el-Nimer for Arts and Culture, and was the first of the Museum’s exhibitions to be held outside Palestine. Curated by Rachel Dedman, the new iteration will present fresh collections of Palestinian dresses and artefacts alongside research that casts a critical look at the role of embroidery in shaping contemporary Palestinian culture. As for the second half of 2018, the Museum will hold two exhibitions: Gaza: Gateway to Palestine, and Intimate Topographies: Be-longing, Nearness and Distance. The Palestinian Museum will be featured in May in an exhibition, to be held in Geneva, about the architectural design of ten selected new museums from around the world. In April 2017, the Museum will also launch its online platform Palestinian Journeys – An Interactive Timeline, in partnership with the Institute for Palestine Studies and Visualising Impact. The first phase of this ambitious project, which will span the history of Palestine from prehistory till today, will focus on the modern era (1850-2010). The Palestinian Museum will also begin work in Spring 2017 on its digital archive, which will collect, preserve, digitize and provide free access to Palestinian documents, photographs and films deemed at risk. During 2017-2018, the Museum will run an extensive educational programme alongside its exhibitions. It will also develop a number of smaller initiatives to encourage young Palestinian artists and curators and provide them with the space to display their work. The Palestinian Museum is an independent institution dedicated to supporting an open and dynamic Palestinian culture nationally and internationally. The Museum presents and engages with new perspectives on Palestinian history, society and culture. It also offers spaces for creative ventures, educational programmes and innovative research. The Museum is a flagship programme of Taawon-Welfare Association and one of the most exciting new cultural programmes in Palestine. Photo: Yazan Khalili, Regarding Distance, The Landscape. 2010. Courtesy of the artist and LawrieShabibi gallery. أعلن المتحف الفلسطينيّ انطلاق برنامجه الحافل والمتنوّع للعامين 2017 و2018، متمثّلًا في إقامة خمسة معارض رئيسة، إضافة إلى إطلاق منبره الإلكترونيّ وبدء العمل على أرشيفه الرقميّ ومشاريع بحثيّة أخرى، وتنظيم برامج تعليميّة ومؤتمرات. وأكّد مدير المتحف الفلسطينيّ د. محمود هوّاري أنّ المتحف اعتمد في بناء خطّته البرامجيّة الجديدة على مجموعة من المبادئ أهمّها معالجة المواضيع الحيويّة في التّاريخ والمجتمع والثّقافة الفلسطينيّة بأعلى مستوىً من المهنيّة والإبداع والجرأة. سيقام معرض المتحف الافتتاحي في مطلع أيلول 2017 ويستمرّ حتّى منتصف كانون الأول 2017، بإشراف ريم فضّة؛ المديرة الفنية لبينالي مراكش 2016، والتي شغلت سابقًا منصب القيّمة المشاركة لمعرض فنّ الشّرق الأوسط التابع لمشروع جوجنهايم أبو ظبي منذ عام 2010. سيقدم هذا المعرض قراءة نقدية لتمثيل القدس باعتبارها مدينة عالميّة، مركّزًا على الأعوام الخمسين الماضية منذ احتلالها عام 1967. وسيكون المعرض متعدد التّخصّصات وواسع النّطاق، وسَتُقدّم ضمنه أعمالٌ فنيّة وبرامج عديدة مع فنّانين ومؤسّسات ومجموعات في مقرّ المتحف وفي مواقع خارجيّة شريكة، ولا سيما في القدس. وبالتّزامن مع معرض القدس، ينطلق المعرض الثّاني في تشرين الثّاني 2017 بمناسبة الذّكرى المئويّة لوعد بلفور، متناولًا مختلف أشكال مقاومة الفلسطينيّين لهذا الموعد المشؤوم وتداعياته على حياتهم ومصيرهم. وسينظم المتحف في كانون الثّانيّ 2018 النّسخة الجديدة من معرض “أطراف الخيوط: التّطريز الفلسطينيّ في سياقه السّياسيّ” بإشراف قيّمة المعارض ريتشل ديدمان والذي أقيم في بيروت خلال أيّار 2016 في دار النمر للفن والثقافة. ويعرض المعرض مجموعة جديدة من الأثواب الفلسطينيّة وقطع التّطريز مرفقة ببحث معمّق ومطوّر، ليلقي نظرة نقديّة حول دور التّطريز في صياغة الثّقافة الفلسطينيّة المعاصرة وتشكيلها. كما سيكون المتحف حاضرًا في أيّار 2017 في معرض يقام في جنيف حول التّصميم المعماريّ لعشرة متاحف عالميّة جديدة. وفي نيسان 2017 سيطلق المتحف المنبر الإلكترونيّ لمشروع “رحلات فلسطينيّة – مسرد زمنيّ تفاعليّ”، بالشّراكة مع مؤسّسة الدّراسات الفلسطينيّة ومجموعة Visualising Impact. وهو منبر بحثيّ يسعى لاستكشاف تاريخ فلسطين، وستركّز المرحلة الأولى من هذا المشروع الطموح على الفترة الحديثة (1850-2010)، وفي المراحل اللاحقة سيغطّي المشروع تاريخ فلسطين من عصور ما قبل التاريخ إلى اليوم. كما سيبدأ العمل على مشروع الأرشيف الرّقميّ للمتحف في ربيع 2017، والذي يهدف إلى جمع وثائق فلسطينيّة مهدّدة من صور وأفلام وغيرها، وحفظها ورقمنتها وإتاحتها إلكترونيًا أمام الجمهور. يشار إلى أنّ المتحف سيعمل طوال العامين على برامج تعليميّة مترافقة مع المعارض التي سينظّمها، كما سيعمل خلال الأعوام المقبلة على بناء برامج لاستقطاب فنّانين وقيّمين فلسطينييّن ناشئين، لتوفير مساحة خاصّة لعرض أعمالهم الفنيّة، ولبناء القدرات المهنيّة في العمل المتحفيّ. يذكر أن المتحف الفلسطيني هو مؤسسة ثقافية مستقلّة، مكرّسة لتعزيز ثقافة فلسطينية منفتحة وحيوية على المستويين المحليّ والدّوليّ، يقدّم المتحف ويساهم في إنتاج معارض عن تاريخ فلسطين وثقافتها ومجتمعها بمنظورٍ جديد، كما يوفّر بيئة حاضنة للمشاريع الإبداعيّة والبرامج التعليميّة والأبحاث المبتكرة، وهو أحد أهم المشاريع الثقافية المعاصرة في فلسطين وأحد أهم برامج مؤسّسة التعاون. 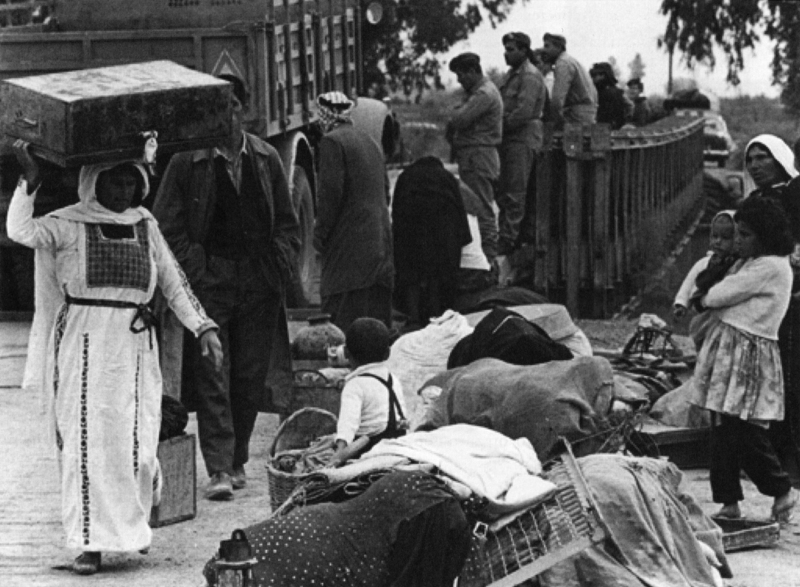 UNRWA Photographs 1950-1978: A View on History or Shaped by History? Published in Issam Nassar and Rasha Salti (ed. ), I would have Smiled. Photographing the Palestinian Refugee Experience (a tribute to Myrtle Winter-Chaumeny), Institute for Palestine Studies, 2009, p. 43-65. 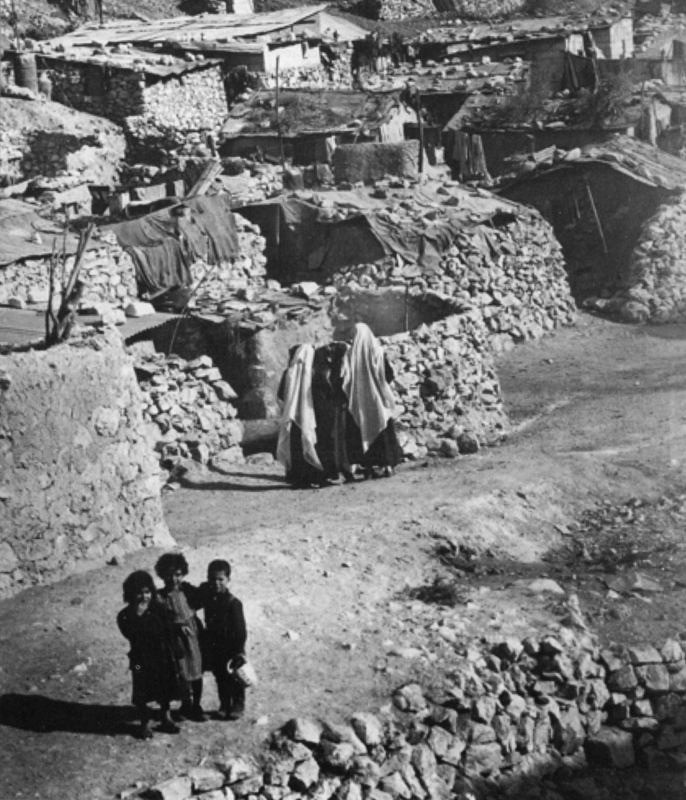 Naher al-Bared refugee camp, near Tripoli (Lebanon), 1952. Photo by Myrtle Winter-Chaumeny. The establishment and the content of the photographic archive of UNRWA, and more broadly, of the audiovisual branch, are to be understood within the historical and political constraints that have shaped the Palestinian and refugee issues and UNRWA’s role, programs and activities since 1950. History and images are here more than ever inextricably linked, as the former has also been determined, to an extent, by the latter (1). At the same time, recent Palestinian history has also been the story of an ongoing struggle for historical visibility starting from a void, an absence (following the 1948 war and the creation of only one of the two states provided for in the 1947 United Nations Partition plan). From the denial of belonging to the land of Palestine of the first two decades—as expressed by the Zionist slogan “a land without people for a people without land” or Golda Meir’s statement in the 60’s, “Palestinians, who are they? They do not exist”—the Palestinians have gone through a slow process of presence within history. UNRWA’s humanitarian images display the specificity of the Palestinian refugee history, for they are the place and in a sense already the result of a political, cultural and historical confrontation on an international level. UNRWA refugee images were firstly geared to document and publicize the programs of a humanitarian agency so as to increase donations (2) and, from this perspective, to record and document the refugees’ situations and events. They were first geared towards its financial backers—international organizations and the donor countries (and above all towards the major ones, which have been slightly changing over time but remained North American and European (3); and secondly, towards the UN, the local and international press, governments of the host countries of the refugees, refugees and UNRWA staff. Reception has thus been key in shaping the images. 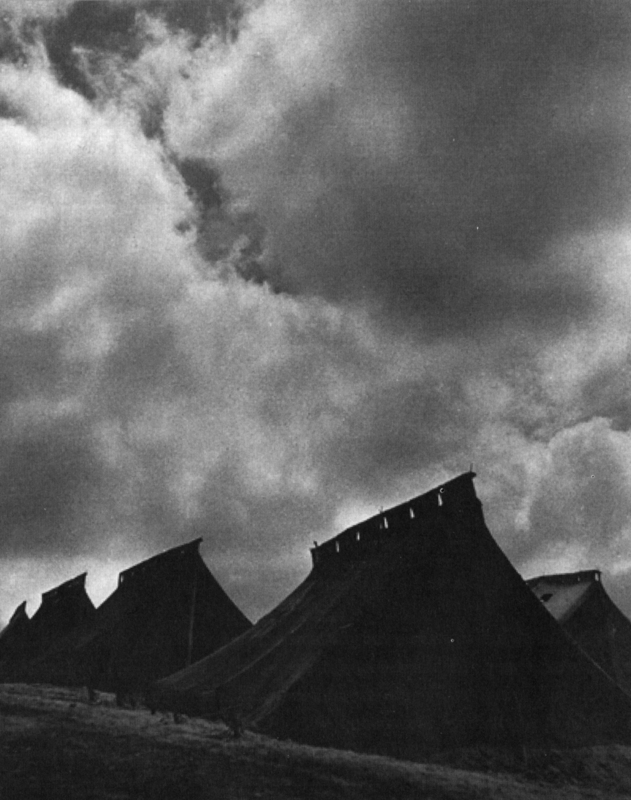 Mia Mia camp, near Sidon (Lebanon), 1952. 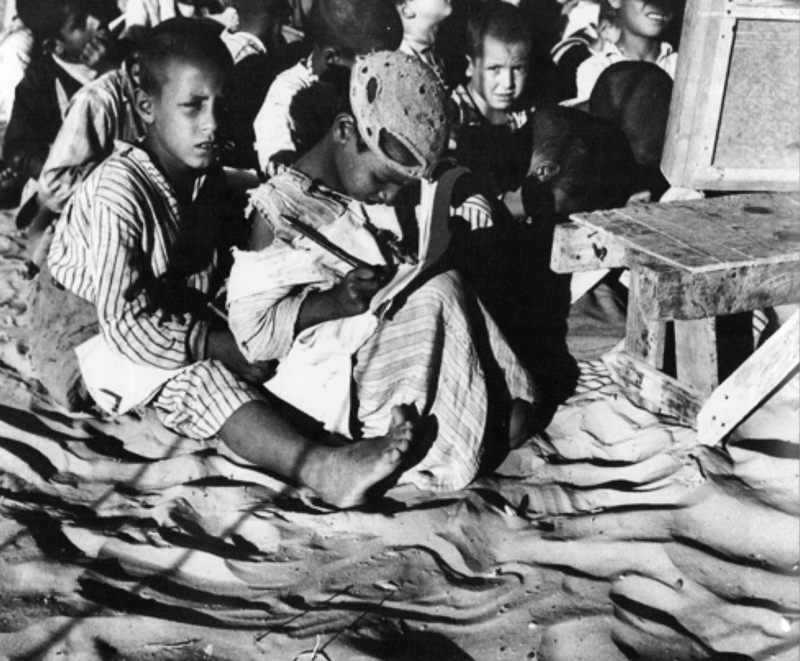 Institutional documents, photos and films made by UNRWA since its creation, in 1950, have indeed been submitted to a tight array of limitations especially until 1974, when the PLO was recognized as the representative of the Palestinian people, by the UN and by most countries around the world. From this point on, the PLO became an official interlocutor of the UNRWA, and began to have a say in its activities and public relations policy. With the 1967 war and the second exodus, UNRWA had started to widen its services to the overall Palestinian community. In the course of time, UNRWA was also progressively invested with the mission of protecting the Palestinian people during conflicts (e.g. at the beginning of Lebanese war in 1975 and later of the first Intifada in 1987), within the frame of international law. All this gradually and radically affected its images and public relations policy. From Wadi Seer to Amman new camp (Jordan), 1959. In this paper, I will focus on the first decades, and follow the first steps and moves of the Agency’s photographic and film production (1950-1978). If the 70’s and the 80’s are outstanding moments of change in UNRWA’s images and representations of the refugee issue, 1978 is an adequate year to mark a first period for the purpose of this paper: it corresponds to Myrtle’s winter retirement and to the relocation of the Agency in Vienna following the turmoil of the Lebanese civil war. UNRWA’s historical stills (4) are at the core of this short article but the main aim of the article is to give a few insights to understand them within a broader context—i.e., in relation with the constitution of the Agency’s audiovisual branch and in comparison with the films—and, above all, to discuss how they have mirrored the political struggle for visibility and/or documented refugee History. This resistance implied a strong emphasis on isolating humanitarian images from what could be political or historical images‭. ‬Writing to Stanton Griffis‭, ‬head of UNRPR‭, ‬Mr Evans‭, ‬in charge of the Quaker mission‭, ‬insisted on that point concerning a UN photographic report on the refugees’‭ ‬conditions in the Gaza strip aimed at fundraising‭. 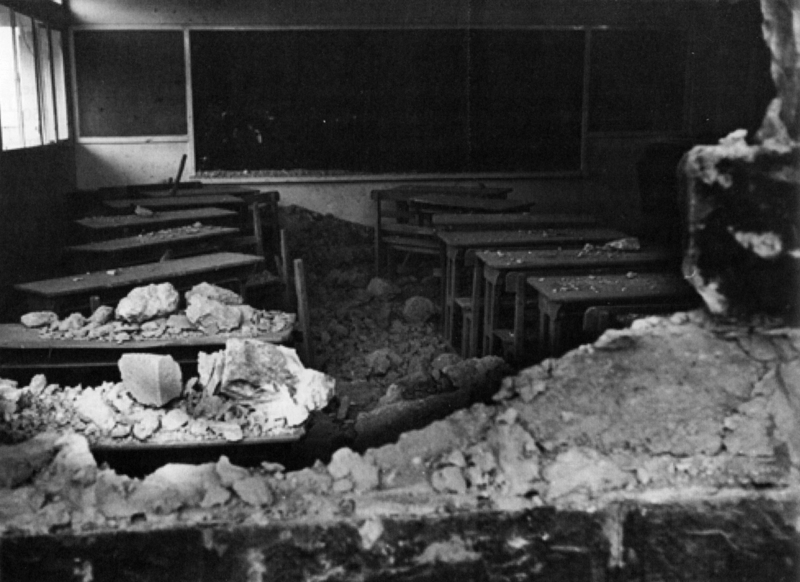 ‬The fighting was then still going on‭: ‬“He also photographed bomb damage in the town‭. ‬I made a point of avoiding all photography and activity indicating interest in the‭ ‬military aspects of the affair‭, ‬since my permission had been obtained on the basis of the refugee story only”‭, ‬i.e‭. 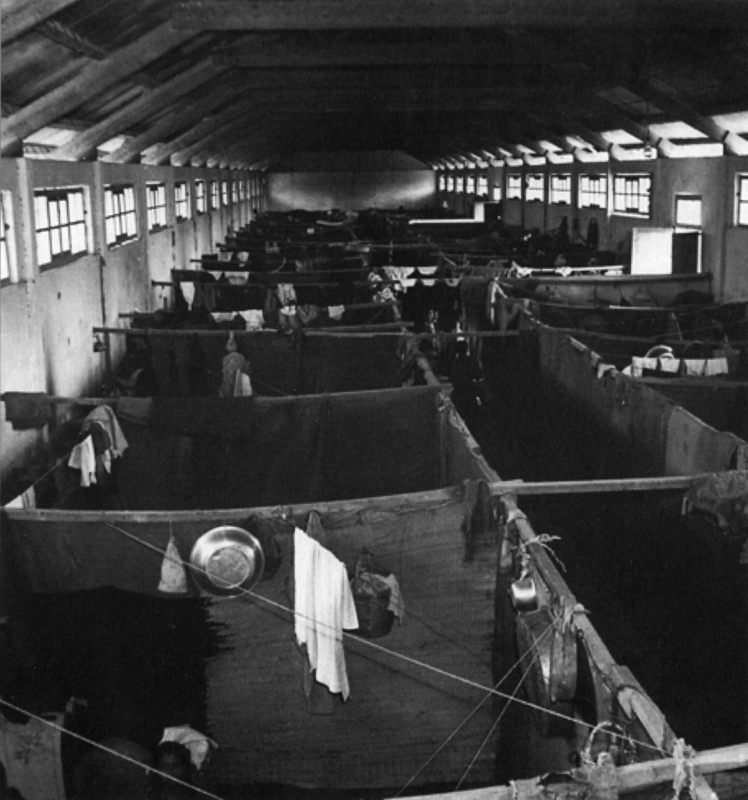 ‬on photographs only showing the‭ ‬“need”‭ ‬and‭ ‬“relief operations” (8)‭. ‬As shown in the Red Cross and UNRWA films and pictures‭, ‬politics was understood in a very broad sense because of the innate political nature of territorial belonging‭. ‬These representations were indeed all together masking‭, ‬or silencing‭, ‬the historical conditions and the reality of a land conflict‭, ‬its belligerents and stakes‭, ‬and the social identity of the refugees prior to their exodus (9)‭. 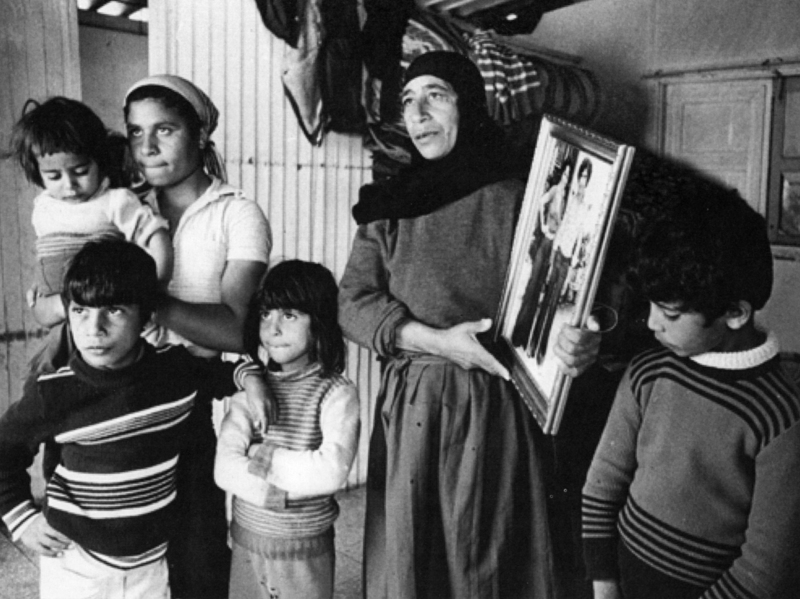 Mar Elias refugee camp in Beirut (Lebanon), 1966. Photograph by Jack Madvo. Khan Yunis camp (Gaza Strip). This was certainly the case in UNRWA productions—all the more as many shots were used in different films, to illustrate distinct texts. Aqabat Jabr refugee camp, Jericho (West Bank). 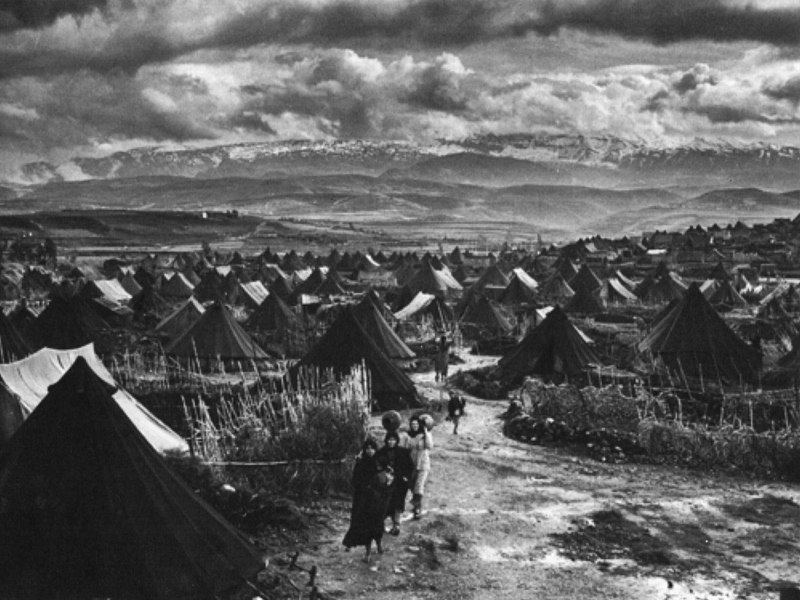 Jisr el Basha Refugee Camp in the outskirts of Beirut, Lebanon, 1952. Photograph by Myrtle Winter-Chaumeny. What makes a photograph historical is, aside from the image itself, the date and title and/or caption which contribute to situate it and contextualize it. According to Barthes, for any picture, “the date is part of the photo: not because it conveys a style but because one cannot but notice the date, one can imagine life, death, the inexorable passing out of generations” (39). The name of the photographer could also be an important, though not a necessary, indication. 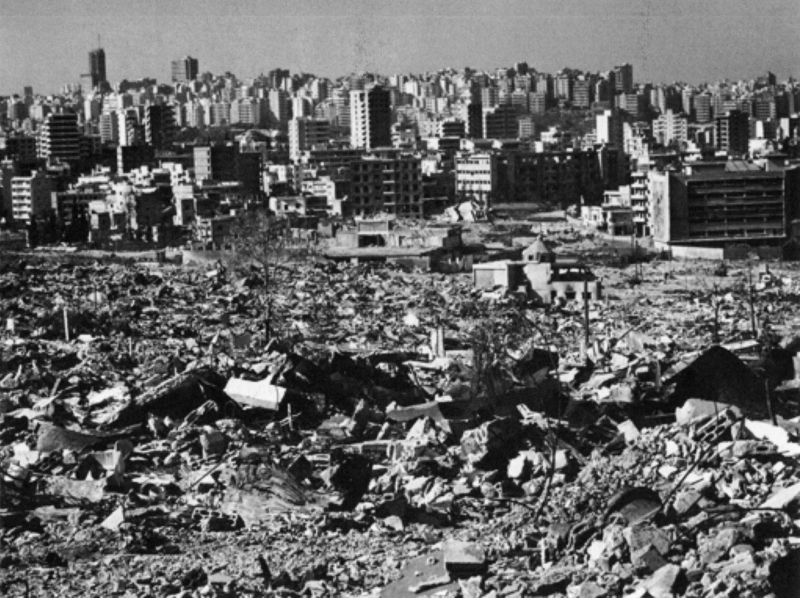 Dekwaneh Camp in Beirut (Lebanon), 1975-1976. Photo by Myrtle Winter-Chaumeny. 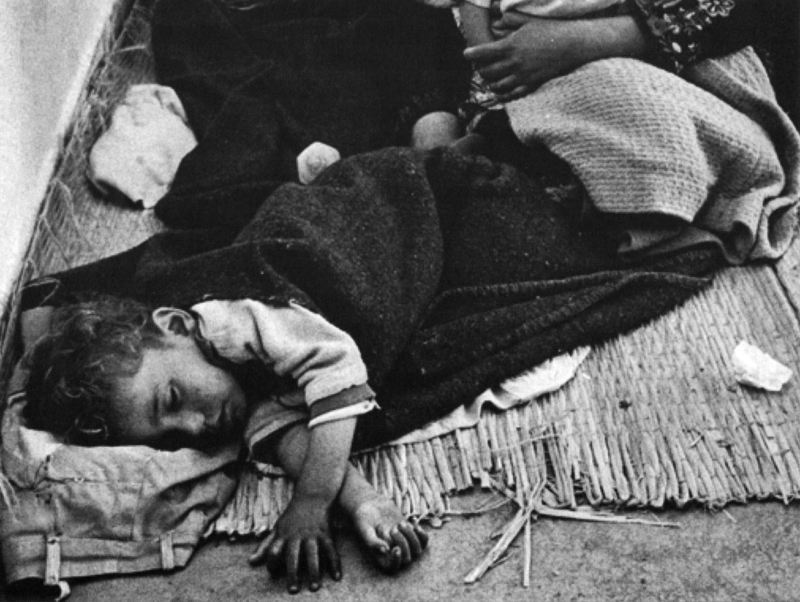 Victims of the Lebanese civil war in Beirut (Lebanon), 1975-6. Photograph by Myrtle Winter-Chaumeny. (1) See Latte Abdallah, S., 2007, «Regards, visibilité historique et politique des images sur les réfugiés palestiniens depuis 1948», in Le Mouvement social n°219-220, Spring-Summer, p. 65-91. (2) UNRWA does not have a proper budget and depends on contributions renewed annually. This structural weakness gives a greater role to its communication. (3) The USA has been giving since 1950 more than 60% of its budget followed by the UK, and today by the European Community which became its second main contributor. The Arab countries are also key financial backers. In the 50’s and the 60’s, the US and Great Britain were providing the Agency with 90% of its budget. (4) We worked mainly on a sample of these pictures and on the UNRWA Photo Catalogue made at the beginning of the 80’s (it is not precisely dated) by the UNRWA Public Information Division in Vienna. This paper is more broadly based on UNRWA audiovisual archives and on interviews with former photographers, filmmakers and employees of the public information office. (5) United Nations Relief for Palestine Refugees. (6) International Committee of the Red Cross. (7) Letter from Charles R. Read, Field Director, to Bronson Clark, Palestine Desk, 4th November, 1949/AFSC Archives. (8) Letter from Mr. Evans to Mr. Stanton Griffis, 26th December 1948/AFSC Archives. (9) For a detailed study on the representations of the Palestinian refugees through humanitarian images (those of the Quakers, the Red Cross and the UNRWA). See Latte Abdallah, S., 2005, “La part des absents. Les images en creux des réfugiés palestiniens”, in Latte Abdallah, S. (ed. ), 2005, Images aux frontières. Représentations et constructions sociales et politiques. Palestine, Jordanie 1948-2000, Beyrouth, IFPO, p. 67-102 ; Latte abdallah, S., 2007, op. cit. (10) Interview, Amman, 15th February 2004. (11) Interview, Beirut, 1st March 2004. (12) Interview, R.W., former deputy director (1979-1998) of the Press Information Department of UNRWA, Amman, 18th February 2004. (14) Beirut, 3rd March 2004. (15) Till the new writing of the 1948 foundation war by the “new Israeli historians” since the 1980’s, namely Benny Morris, Ilan Pappé, and Tom Segev and others. (17) Barthes, R., 1980, La chambre Claire. Note sur la Photographie, Éditions de l’Étoile/Gallimard/Seuil, p. 133. (20) Barthes, R., 1957, Mythologies, Paris, Gallimard. (21) For more details, see Latte Abdallah, S., 2005, op. cit. (24) See for instance UNRWA, Tomorrow Begins Today, pre-1967. These representations are also spread by the National Geographic Magazine between 1948 and 1967 as Annelies Moors has studied it. See 2005, “Framing the ‘Refugee Question’: the National Geographic Magazine 1948-1967”, in Latte Abdallah, S. (ed. ), op. cit., p. 43-59. 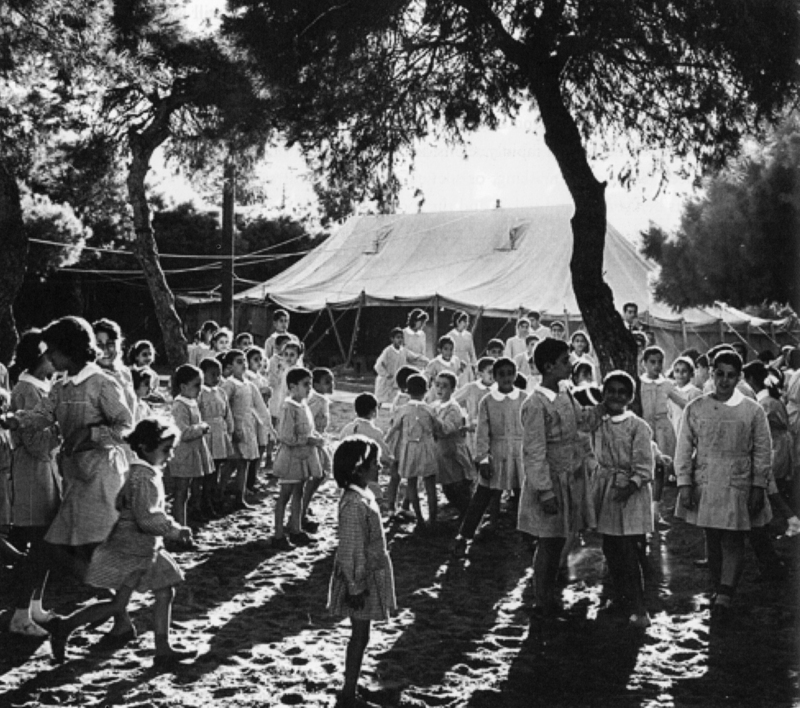 (25) See as an example UNRWA, The Silver Lining, 1964. (26) See UNRWA, A Journey to Understanding, 1961; UNRWA, Tomorrow Begins Today, pre-1967; UNRWA, The Silver Lining, 1964 or UNRWA, Flowers of Ramallah, 1963. (27) See Latte Abdallah, S., 2005, “La part des absents. Les images en creux des réfugiés palestiniens”, in Latte Abdallah, S. (ed. ), op. cit., p. 67-102. (28) Colleyn, J.-P., 2005, “L’analyse des images d’archives : point de vue théorique et étude d’un cas”, in Latte Abdallah, S. (ed. ), op. cit., p. 31. (29) See The Palestinians, 1973-74; The Palestinians do have rights. The Question of the Inalienable Rights of the Palestinian People, 1979; Refugee Visiting Abandoned Home in 1948, 1987. 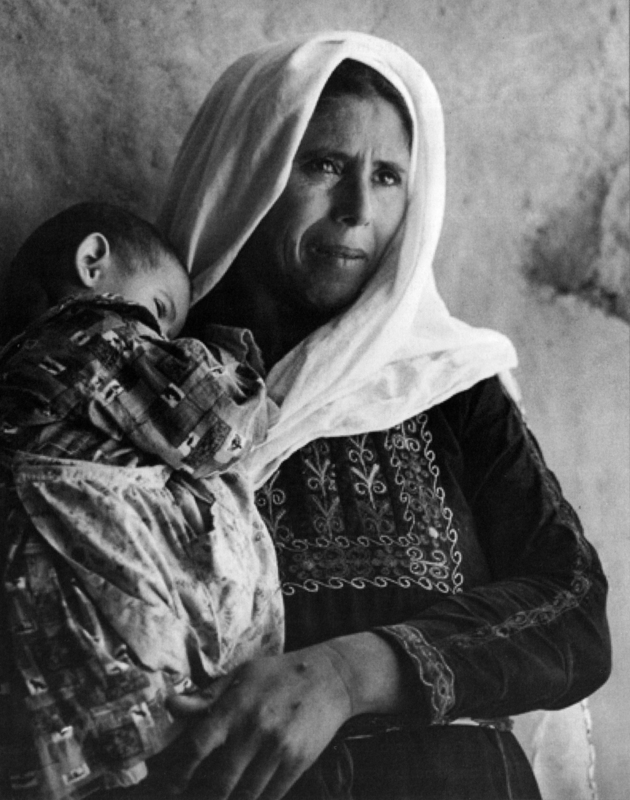 (30) Like for instance Palestinian Portraits, 1987. (31) See Culture/heritage, 1990; Palestinian Embroidery, 1990. (32) G. N., Vienna, 27th April 2004. (33) Barthes, R., op. cit., p. 90. (34) Malkki, L., 1995, Purity and Exile. Violence, Memory and National Cosmology among Hutu Refugees in Tanzania, Chicago/London, The University of Chicago Press, p. 9. (35) Malkki L, op. cit., p. 12. (36) Malkki L., op. cit., p. 11-12. (37) Badiou, A., 1993, L’éthique. Essai sur la conscience du mal, Paris, Hatier. (38) Barthes, R., p. 148-150. (40) According to the listing of UNRWA films made by the UNRWA HQ in Gaza. (41) UNRWA, 1983/1984 (not precisely dated), UNRWA Photo Catalogue, UNRWA Public Information Division, Vienna. (42) Chevrier, J.-F., 1997, “L’intimité territoriale”, in Ceux du terrain, Ne pas plier, Ivry-sur-Seine, p. 33-51. – UNRWA, 1983/1984 (not precisely dated), UNRWA Photo Catalogue, UNRWA Public Information Division, Vienna. 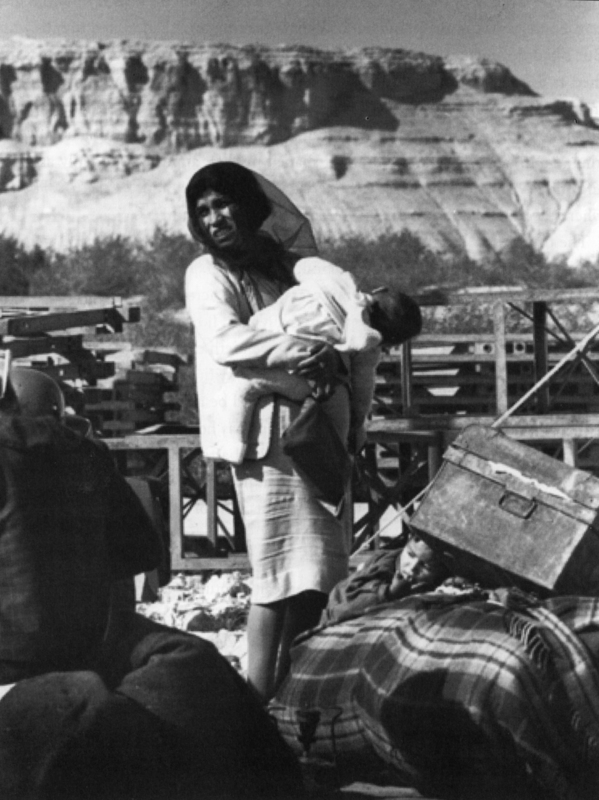 – United Nations, Sands of Sorrow, 1950. – ICRC, Les errants de Palestine, 1950. – UNRWA, Tomorrow Begins Today, pre-1967. – UNRWA, A Journey to Understanding, 1961. – UNRWA, Flowers of Ramallah, 1963. – UNRWA, The Silver Lining, 1964. – UNRWA, Peace is More than A Dream, 1973. – UNRWA, Prelude to Peace, 1987. Agamben, G., 1997, Homo Sacer, le pouvoir souverain et la vie nue, Seuil, Paris. Badiou, A., 1993, L’éthique. Essai sur la conscience du mal, Paris, Hatier. Barthes, R., 1980, La chambre claire. Note sur la photographie, Paris, Éditions de l’Étoile/Gallimard/Le Seuil. Chevrier, J.-F., 1997, “L’intimité territoriale”, in Ceux du terrain, Ne pas plier, Ivry-sur- Seine, p. 33-51. Colleyn, J.-P., 2005, “L’analyse des images d’archives : point de vue théorique et étude d’un cas”, in Latte Abdallah, S. (ed. ), 2005, Images aux frontières. Représentations et constructions sociales et politiques. Palestine, Jordanie 1948-2000, Beyrouth, IFPO , p. 25-36. Fabian, J., 1983, Time and the Other. How Anthropology Makes its Objects, New York, Columbia University Press. Farge, A., 2000, La chambre à deux lits et le cordonnier de Tel-Aviv, Paris, Le Seuil. Harell-Bond, 1999, “The Experience of Refugees as Recipients of Aid”, in Ager, A., (ed. ), Refugees. Perspectives on the Experience of Forced Migration, NY and London, The Tower Building, p. 136-168. Latte Abdallah, S. (ed. ), 2005, Images aux frontières. Représentations et constructions sociales et politiques. Palestine, Jordanie 1948-2000, Beyrouth, IFPO. Latte Abdallah, S., 2007, “Regards, visibilité historique et politique des images sur les réfugiés palestiniens depuis 1948”, in Le Mouvement social n° 219-220, Spring-Summer, p. 65-91. Malkki, L., 1995, Purity and Exile. Violence, Memory and National Cosmology among Hutu Refugees in Tanzania, Chicago/London, The University of Chicago Press. 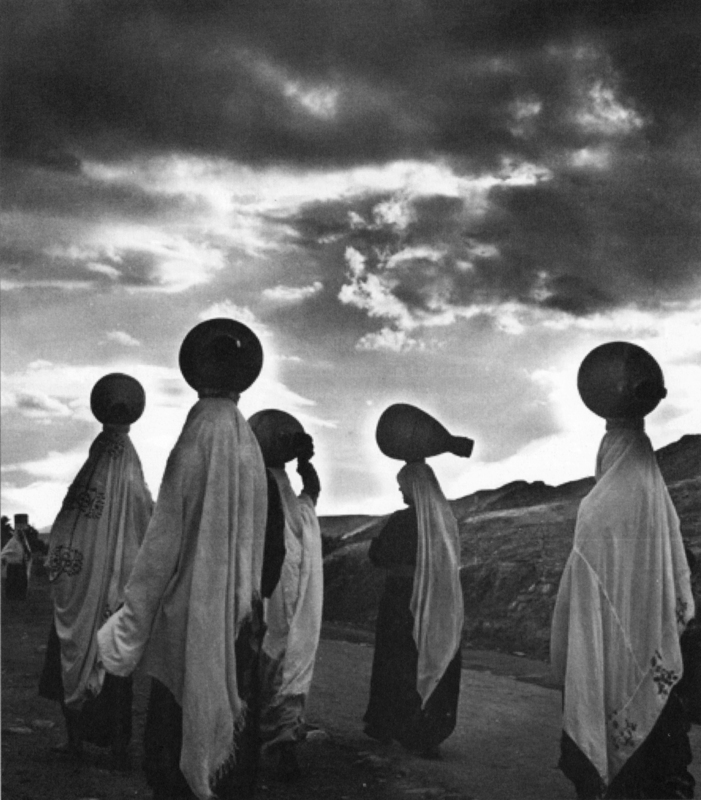 Moors, A., 2005, “Framing the ‘Refugee Question’: the National Geographic Magazine 1948-1967”, in Latte Abdallah, S. (ed. ), 2005, Images aux frontières. Représentations et constructions sociales et politiques. Palestine, Jordanie 1948-2000, Beyrouth, IFPO, p. 43-59. Zobeidi, S., 1999, My very Private Map of Palestine, documentary film.